In the days of the Safty Saw sales decline Dave was looking for new things to sell. 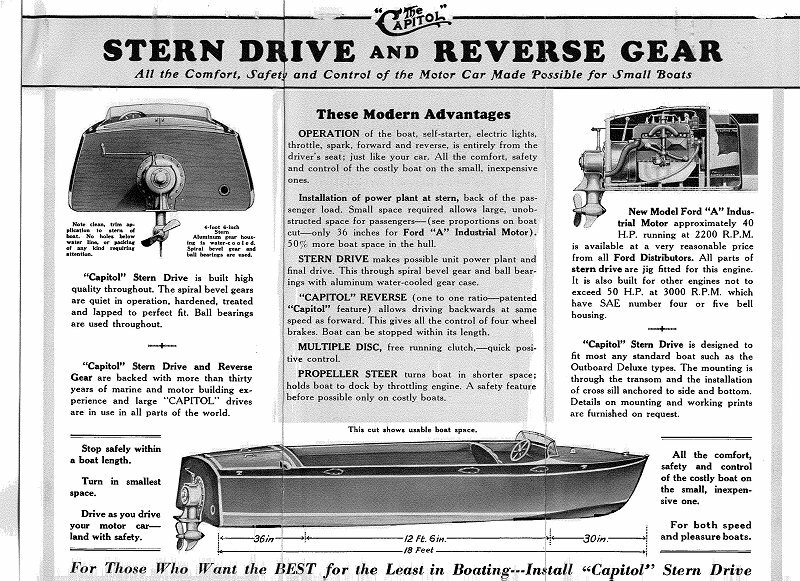 Out of the Prohibition bootlegging era came a technology of high powered boat engines for the “rum runners”. 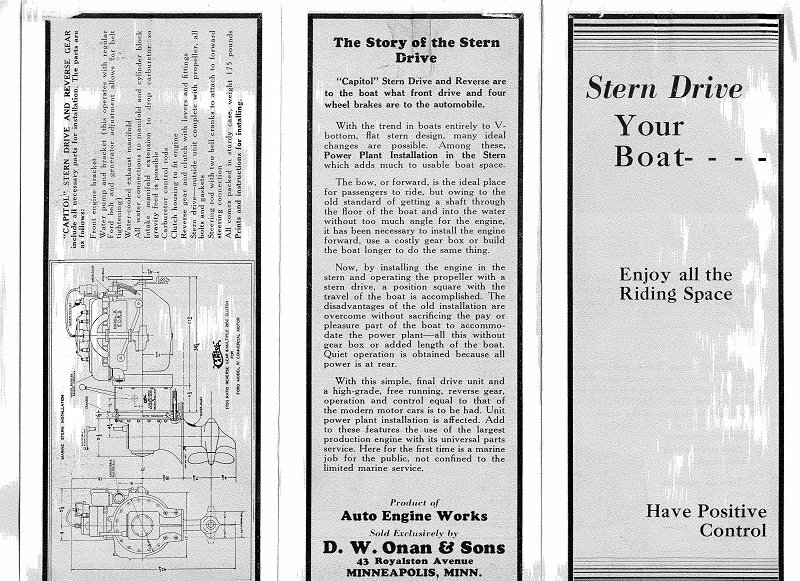 The Auto Engine Works of St Paul MN made engine conversions; and marine transmissions under the name of Capitol Gear Company. The Dingle boat company of St Paul made beautiful mahogany runabouts. Prohibition was over and technology was looking for a market. 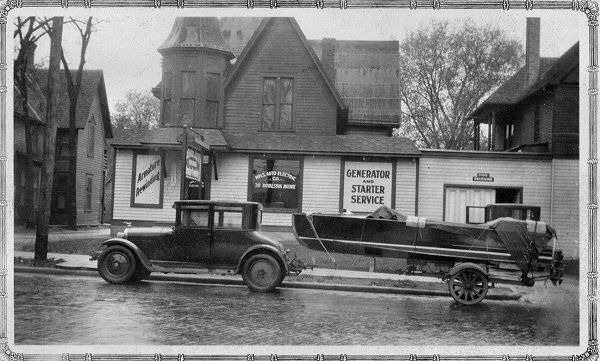 This great old picture is the first and only in front of the original office on Royalston Avenue. Subsequent literature extolling the virtues listed the company as the sole distributor. Bud did all the testing and boat riding. Weight distribution was the first problem; too much at the rear. Water leaking into the drive was a problem requiring a whole development program, but the crash of 1929 killed it. Joy riding would have to wait. The concept was years ahead of its time and probably technologically too. 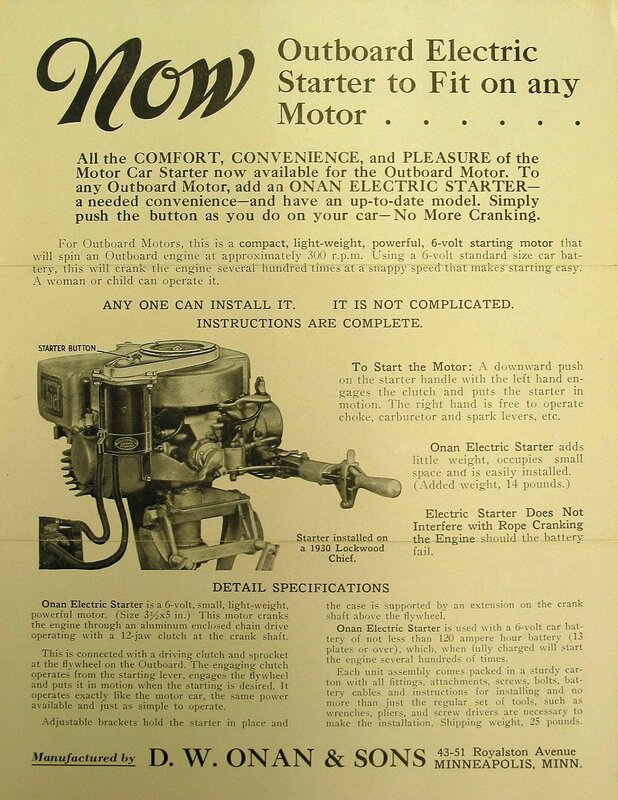 A lot less grandiose and closer to what Dave could realistically handle was the outboard motor starter of 1931. The price was $42.50 and no sales figures are available. Chances are it was too much for the market and a few were sold. He printed literature for dealers and that was going to be his marketing outlet.